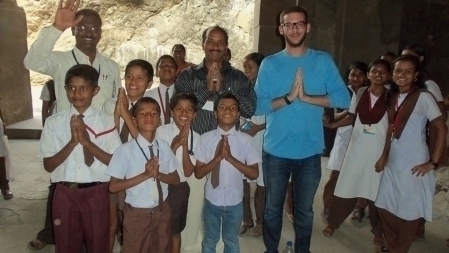 Joshua Jacob Greenberger, a”h, a wonderful young man with a huge heart who joined the volunteer cohort of Gabriel Project Mumbai in 2013, was the first JDC-Entwine volunteer to teach children in the slums of Mumbai as part of the Gabriel Project Mumbai development initiative. 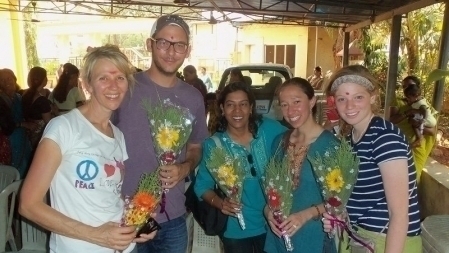 Joshua worked with four other Jewish interns in the Kalwa slum in Mumbai, India, teaching informal education and life-skills to vulnerable children living in the slum. Joshua injected a robust sense of humor, his love of children and a keen sense of social justice into the classroom. He was devoted, attentive, and compassionate, and he was taken from us too soon. We are devastated by his loss, and eager to hang on to his memory. To honor Joshua’s legacy, we at GPM have decided to dedicate the New Learning Center in the Kalwa slums to him, and name the center after him. Seventy-five elementary school students (1st through 4th grade children) every morning for three hours A pre-school class for 25 children for three hours a day, six days a week English classes ‘The English Club’, for three hours for 40 children aged 14-17 five days a week An open tutoring drop-in for 30 high school ‘dropouts’ for two hours in the afternoon “Soup2Study” evening drop-in for high school or college students in need for a place to study. On weekends, the center can be opened for use by the community as an extended medical facility, community education workshop hall and for community celebrations. The center will be comfortable, pleasant, well-ventilated and clean. We are excited to be in the process of installing air conditioners with small back-up generators for each, vital components in the Mumbai heat. The rooms will also include amenities such as: folding room partitions, cupboards, tables, chairs and a state of the art multimedia system. The center will have a multi-media library containing a curriculum of subjects from grades 1-12. Elementary school students and pre-school students will receive a daily meal as part of the GPM Nutrition Program while a hearty soup will be provided for the evening study hall as part of the Soup2Study Program. The only learning center serving the Kalwa slum community of 200,000 people, it will be a warm home for all children in the area who has a desire to further their education. And of course, classes will be supervised with local teachers and Entwine-GPM volunteers, inspired by Joshua’s model of giving, caring and teaching! Please help us make the Joshua Jacob Greenberger Learning Center in the Kalwa Slums a reality. All we need is $7700 but we need in quickly, by June 20 the start of the 2017-18 academic year in India! I will always remember you my friend. Great work Joshua. Good trip Penny/Bob. May Josh's memory be for a blessing. What a beautiful tribute to Josh!